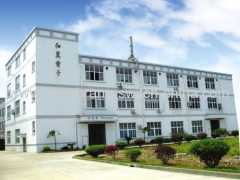 Our company was founded in 1987 and operated in a manufacturing plant of 2500 square metres. In 2008 our factory was transferred into a new plant of 3600 square metres. 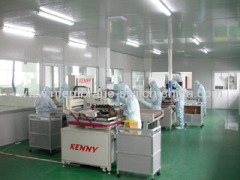 Advanced production equipment was sourced worldwide to enhance our production processes. Internal Quality Systems conform and are certified to ISO900:2000 covering all aspects of Design, Engineering, Manufacturing and Commercial operations. 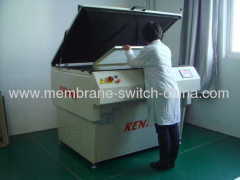 Growth has been managed with a continued introduction of new products and new process technologies. Our workforce has grown to around 100+ employees which enables our company to provide a world wide service which includes the European and USA markets. Our reputation and strong customer relationship has been built upon providing Fast Delivery Times, Superior Product Quality and first class After Sales Service. Our experienced workforce which includes Graphic Design Engineers, Manufacturing Operatives and Quality Assurance staff are committed to providing a manufacturing service to a large variety of OEM membrane switches, graphic overlays and labels used in a wide range of industrial fields. Our products service the following markets ,Medical Equipment, Home Appliances, Healthcare Equipment, Recreational Equipment, Electrical and Electronic Products, Marine, Aircraft and many more etc..